A complete new haptic experience differientiates COPEC from all other plastics. TPE for its customers. The new TPE creates a “velvety“ and “silky“ feeling, whereas the soft material is not sticky at all and it is dirt repellent. In order to keep pace with the never ending demands of customers, we are involved into providing Chemical Resistant Coating Services. 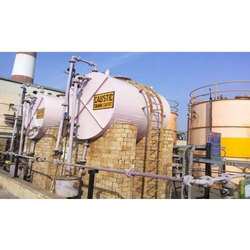 We are Dealing in Chemical Fastening and providing to our clients. Our expert takes greatest care to do anti corrosive painting. These chemical resistant coating is very important to fight against corrosion and wearing away. Anti corrosive is mainly useful on pipelines for sewage and drinking water, metallic structures. Keeping in mind the full necessities of customers, we render Chemical Resistant Coating Service. These services are enormously identified for their flexibility and timely completion. Besides, we render this service as per client’s demand at nominal costs. BLOCKLITE products are highly fire resistant and offer twice the fire protection of concrete. This step is undertaken to improve the strength of the flooring. Seven Oaks Engineering Pvt. Ltd. In order to keep pace with the never ending demands of customers, we are involved into providing Chemical Resistant Coating Service.